Septic tank problems in Norfolk can be the cause of various issues for homeowners with some of the most common problems being associated with odour nuisance, flooding or causing pollution in ditches and streams. However, the most common septic tank problem we come across in Norfolk is where the existing septic tank is flooding due to the receiving soakaway failing. Septic tanks in Norfolk can be in the form of a traditionally built tank from either brick or concrete, or in the form of a prefabricated tank. Problems can be experienced with all types of septic tank, and all septic tanks are designed to promote the growth of anaerobic micro-organisms which partially degrade the receiving waste water. Call our team today regarding any septic tank problems you may have on 01603 513232 . Common Septic Tank Problems Explained. The process within a septic tank is called ‘anaerobic digestion’ which reduces the sludge volume. During the digestion process methane, hydrogen sulphide and other gases are produced and these gases can in some cases cause a serious odour nuisance. Septic tanks should be correctly vented to allow the noxious gases to escape to the atmosphere. Can my septic tank discharge to a ditch, stream or river? 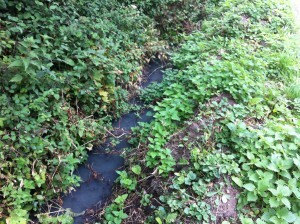 The effluent from a septic tank is disposed of to a drainage field / soakaway. Under no circumstances should it be allowed to discharge to a ditch, stream or river. Such a discharge is an offence under the Public Health and Water Resources Acts and renders the offender liable to prosecution by the Statutory Authorities. 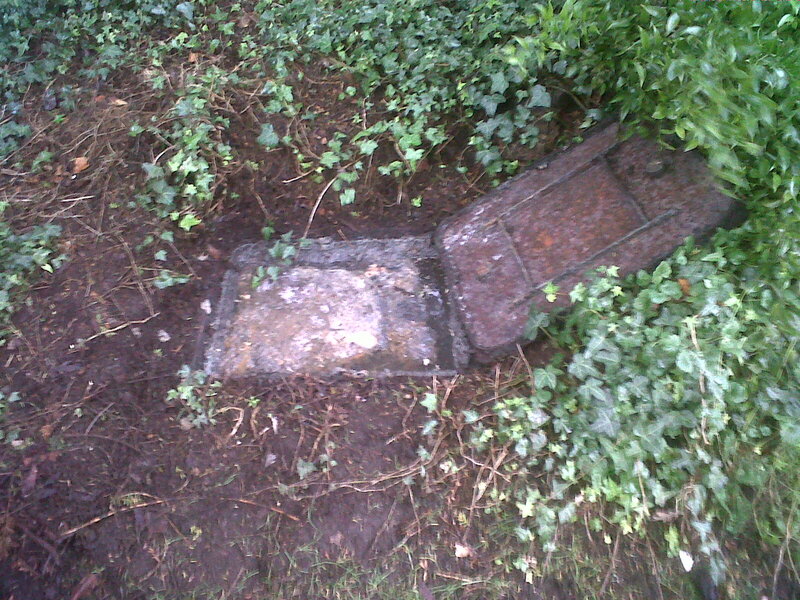 In many parts of Norfolk it is common to find older septic tanks discharging direct to a watercourse. This is mainly due to septic tanks being installed in areas where the ground conditions do not favour a soakaway system, and as a result the original soakaway has been extended to a nearby watercourse. 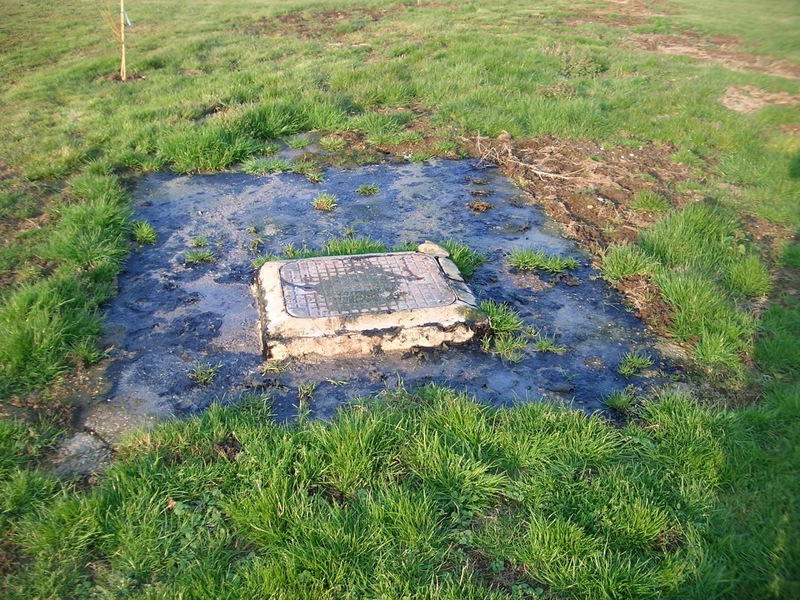 No matter how long a septic tank has been discharging to a ditch or any other watercourse, it is still an offence! Septic tanks can be upgraded into sewage treatment plants by installing a Mantair conversion unit which complies with the requirements of an Environment Agency Permit. My septic tank is flooding? 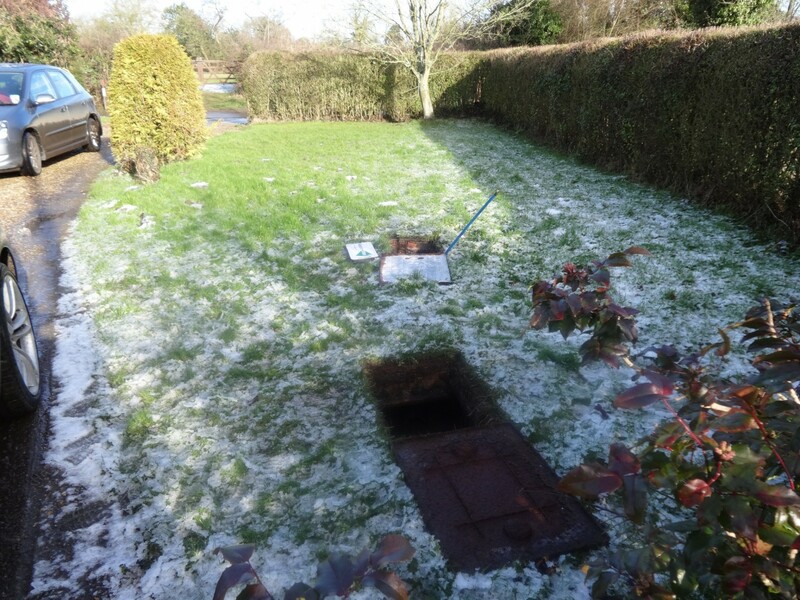 There are many reasons which may cause a septic tank to flood and these can range from something as a simple as an outlet ‘dip pipe’ being blocked to more serious problems involving the receiving soakaway system. 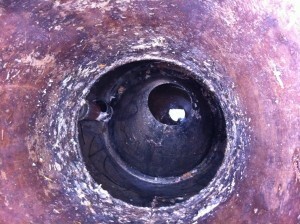 The effluent level inside a septic tank should be at the level of the outlet pipe. 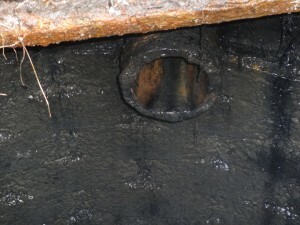 In some instances either the inlet or outlet pipes for a septic tank can become blocked with materials such as fat or tissue. 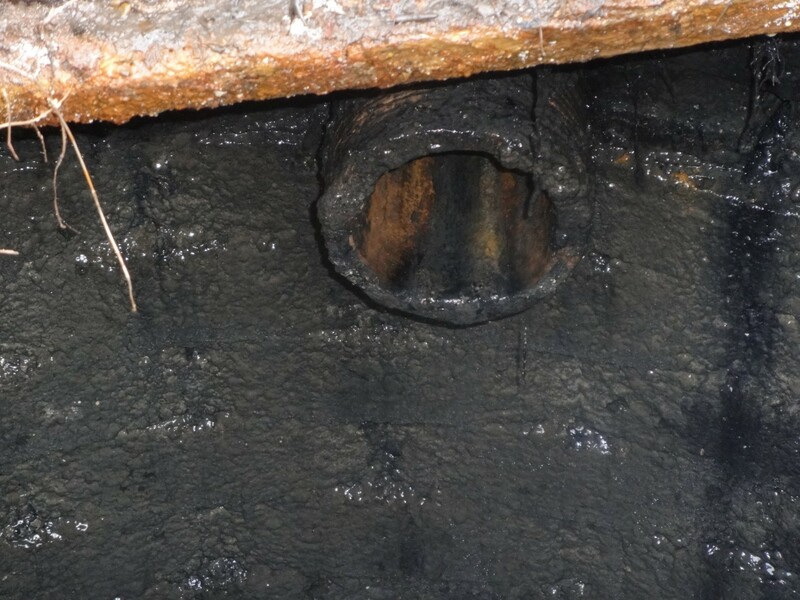 If the inlet ‘dip pipe’ becomes blocked this would result in the foul drainage to the tank flooding, and this is more common in older traditionally built septic tanks. If the outlet ‘dip pipe’ becomes blocked this would result in both the septic tank and incoming foul drainage pipe work flooding. In some cases it is only necessary to clear the blockage with drainage rods. The soakaway being constructed in ground conditions which are non-permeable such as sandy clay, silt clay and clay. 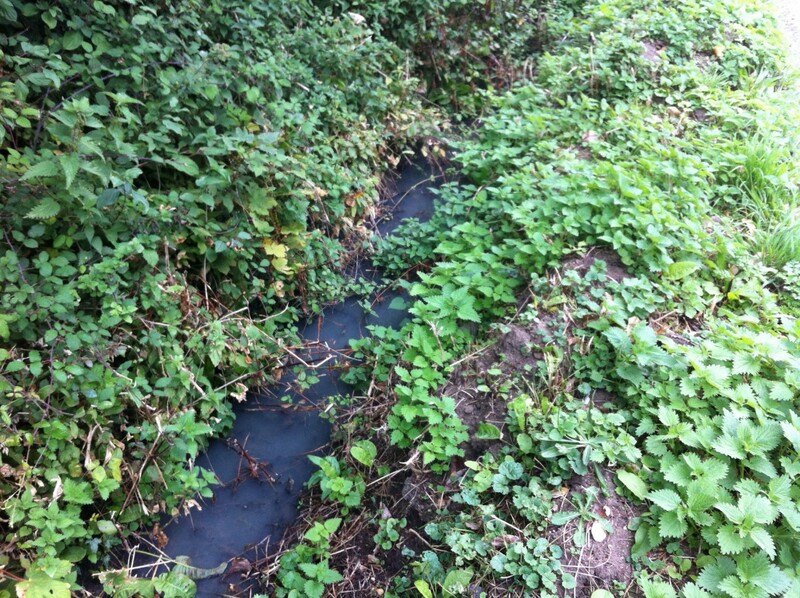 This would result in the effluent that discharges to the soakaway filling the soakaway and subsequent flooding of the septic tank, or potentially effluent bursting out of the ground causing a health hazard. It is important that the percolation characteristics of the ground are suitable in both summer and winter months. To identify whether the ground conditions are suitable for a drainage field / soakaway and to determine the size required it is necessary to conduct a Percolation Test. Without the results of a Percolation Test there is no way of knowing the size of drainage field / soakaway required or if this disposal method would indeed work. The drainage field / soakaway being under the natural water table. This can often be the cause for septic tank soakaway systems failing during winter months only. 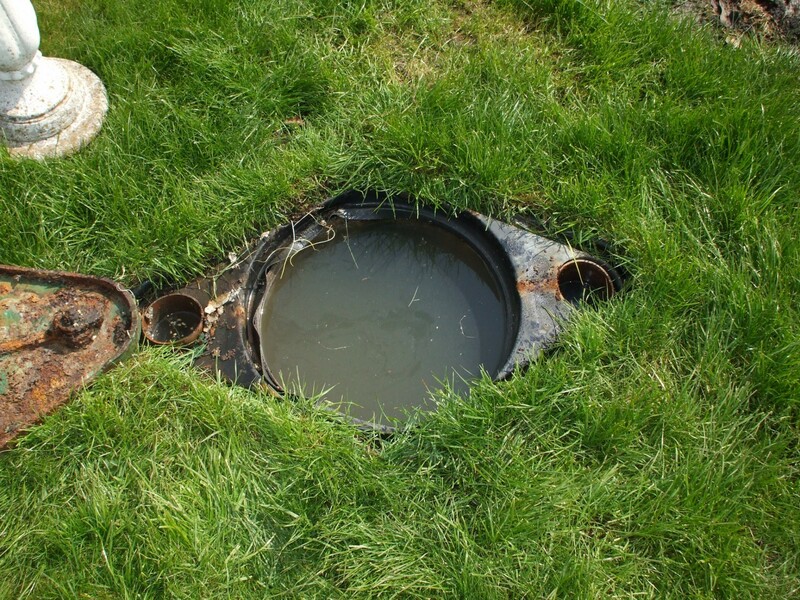 When a drainage field / soakaway is operating underneath the natural water table the septic tank, soakaway and foul drainage pipework will be at the same level as the surrounding water table and as a result the flooding within the system can be moderate or severe. The drainage field / soakaway being constructed in close proximity to trees and shrubs. Roots of trees and shrubs planted too close to a drainage field / soakaway can enter the drainage pipe work and block the pipes. Root ingress into drainage fields / soakaways is the cause of many systems blocking and as a result flooding of the septic tank system. In some cases a septic tank can flood due to the receiving soakaway pipe work becoming damaged and broken. This can often be due to heavy machinery moving over the soakaway and crushing the pipes. Older ‘but-jointing’ soakaway systems were constructed using clay wear pipes and it is common for these clay wear pipes to become dislodged due to ground movement, resulting in soil entering the pipe work and blocking the soakaway. A septic tank and the receiving drainage field / soakaway are designed to cater for a certain volume of flow per day. If the flow being discharged to a septic tank increases and the tank is not designed for this additional flow then problems can be experienced with both the septic tank and drainage field / soakaway system. Excessive use of detergent based products i.e. dishwasher tablets, washing powders etc. will lead to eventual failure of the soakaway. This is caused by a process called sodium binding where the sodium present in detergents cause any silt or clay particles in the sub soil to bind together to form am impervious layer. The same effect occurs if a water softener is present as the softened water will have relatively high sodium content. 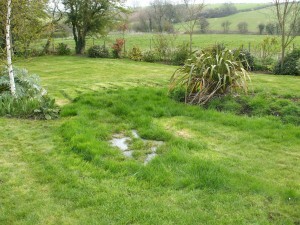 Older drainage fields / soakaways can fail due to a build-up of sludge solids. 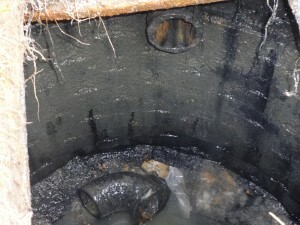 The level of sludge solids passing through the septic tank are due to a number of reasons, including size of the tank, nature of the waste water and emptying frequency. Within most prefabricated septic tanks are internal baffles or cones which are designed to prevent solids and floating material from passing through the tank. In some instances baffles and cones can collapse resulting in solids and floating material passing through the tank and into the soakaway network. Prefabricated tanks can also implode if there is substantial ground movement around the tank or if the tank hasn’t been installed using the correct back-fill material. If these tanks are not back-filled with concrete this can result in flotation of the tank especially when a tank is emptied during wet weather periods. One of the most common failures on traditionally built septic tanks in Norfolk is when the dip pipes fall away from the inlet or outlet pipes. This can sometimes occur when the septic tank is emptied. 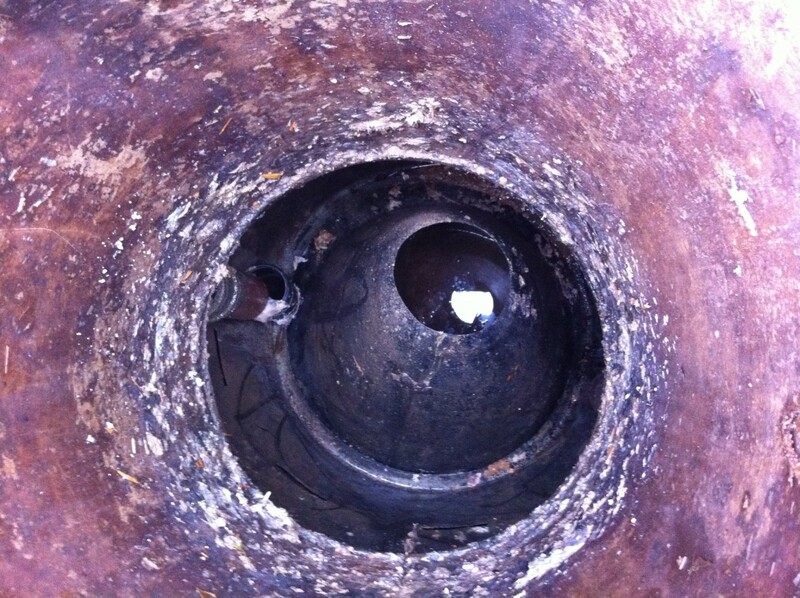 Concrete septic tanks can crack and leak allowing ground water ingress. 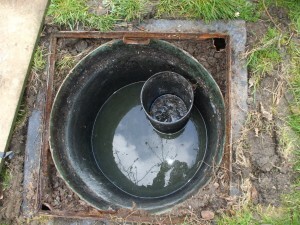 If groundwater enters a septic tank this can result in flooding of the soakaway. 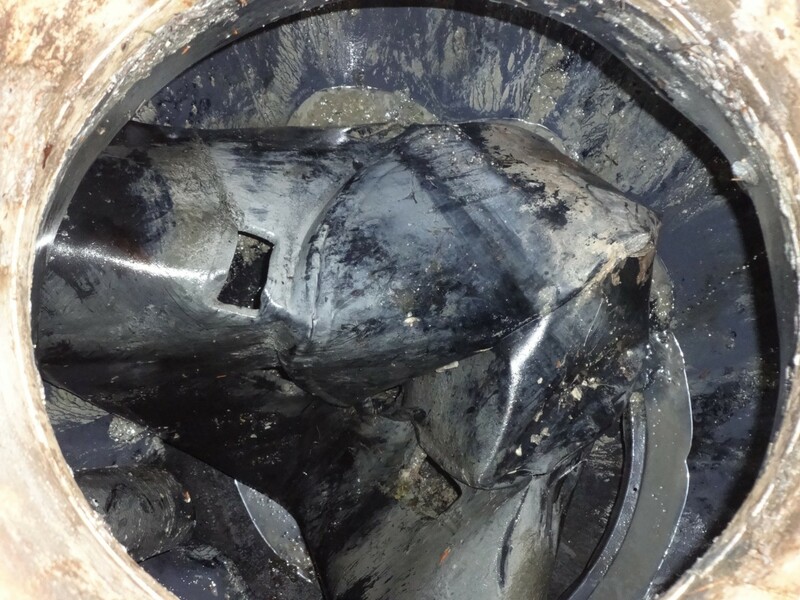 Excessive water ingress into a septic tank would result in sludge solids passing through the tank and into the soakaway, resulting in failure of the soakaway. 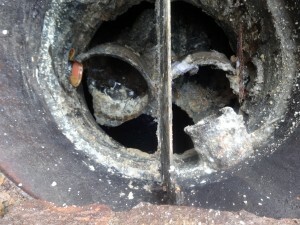 Excessive draining of cooking oils and grease can cause the inlet drains to block. Oils and grease are difficult to degrade and can cause difficulties with the emptying. Disposing of non-biodegradable items such as nappies and baby wipes will rapidly clog the septic tank and these items should not be discharged to the tank at any point. Certain chemicals should not be discharged to septic tanks, including pesticides, herbicides, paint, solvents or high levels of bleach. Depression area over the septic tank or soakaway. As detailed throughout this page, there are various reasons for septic tank problems throughout Norfolk. The solution will depend on a number of factors and it is advisable that professional advice is sought prior to any remedial works taking place. Mantair has been solving septic tank problems in Norfolk for over two decades and continues to be the market leader in septic tank upgrades and conversions throughout the UK. If you require assistance with a septic tank problem or have a requirement for a new sewage treatment plant, call our team today to receive a free site visit on 01603 513232.